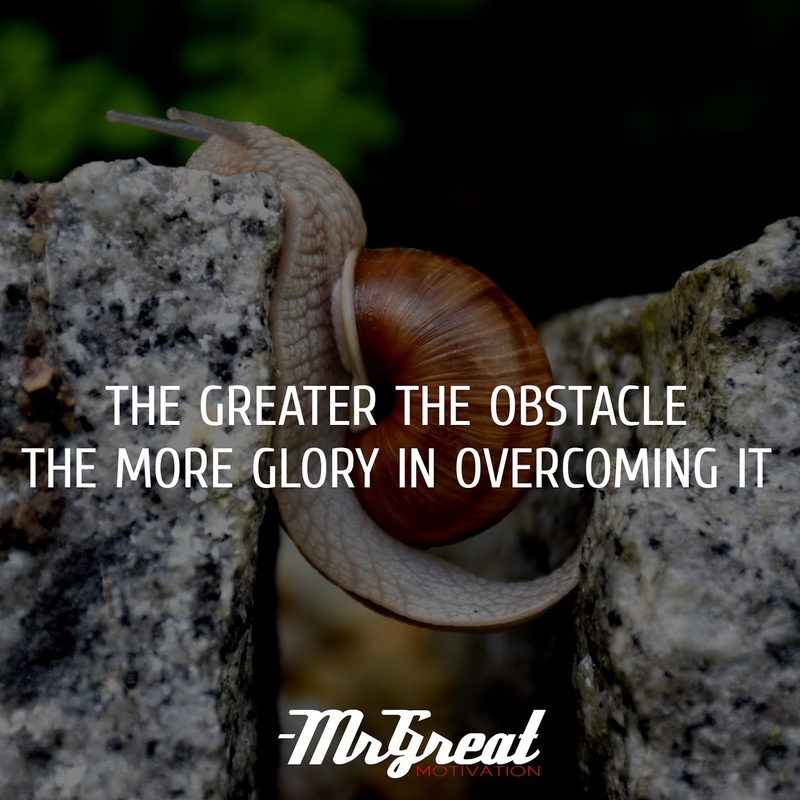 Home Motivational Quotes The greater the obstacle the more glory in overcoming it. There is glory and nobility in enduring difficulties when we work to overcome. The obstacles life puts in our way we make ourselves stronger and set an example for those around us. Obstacles don't have to stop you. If you run into a wall, don't turn around and give up. Figure out how to climb it, go through it or work. To achieve objectives, it is essential to be able to overcome the obstacles and difficulties that we all face in order to progress and move forward. No matter what your goal, no matter what you are trying to accomplish, you must be ready to face anything that will cross your path. You must be willing to fight for your dreams. Your glory days are right around the corner. Decide that you are bigger than this and prove it to yourself. Life will throw you obstacles, but through hard work and an immense amount of dedication, you can achieve great things.